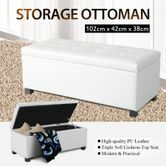 This White PU Rectangular Storage Ottoman adds a little touch of style and a lot of extra storage space to any home. Featuring interior hinges, simply lift the lid to hide your remote controls, pillows, blankets and any extra clutter that accumulates discreetly with this stylish leather storage ottoman. 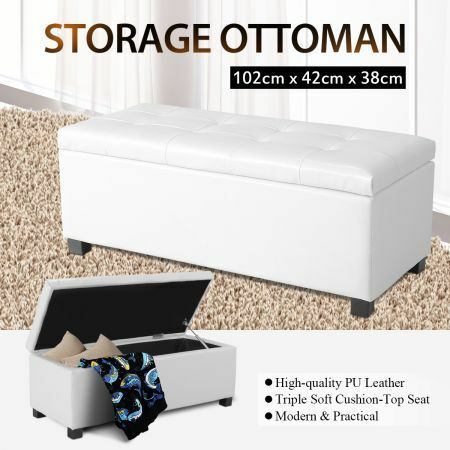 The high-quality PU leather and basic sleek design ensure this storage ottoman blends easily into any home d?cor. The sturdy flat top is ideal for resting books, drinks and an array of other items. Great for propping up your feet it also makes an ideal comfy seat for extra guests. This faux leather ottoman combines comfort and convenience to any living area. 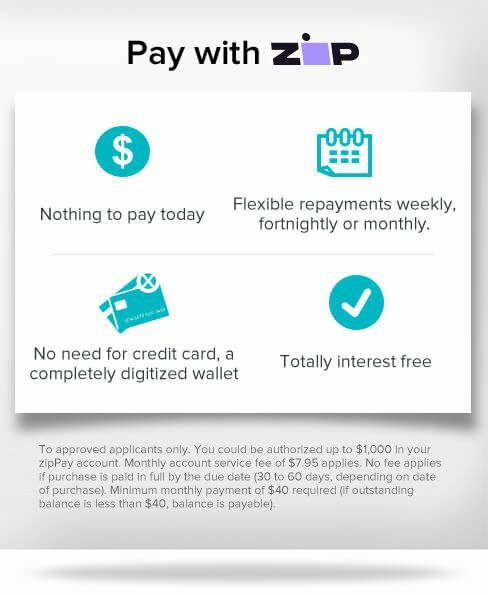 Fast delivery and item as pictured. Fantastic seller Fast postage and great product. Thank you. My mistake re local delivery only. Very understanding seller. Thank you.